WEST POINT - Iola Hall Belnap Murray, 95, passed away at home on October 21, 2018 in the care of her loved ones. She was born in Independence, Idaho on April 28, 1923. She was the fifth child of twelve born to Mabel Hill Hall and George Ellis Belnap. She grew up on farms wherever the family resided and at age 9 they moved to Hooper, Utah. She and her younger brother LaGrande managed a 12-acre farm. She attended grade school in Hooper and later graduated from Weber High School. She developed talents in music, drama, and sports. She competed in a poetry-reading contest for four years, winning first place each year. After high school, she continued education at Weber College and received an Associate Degree. She ultimately earned a BS in English (1981). She met her future husband Hugh Thomas Murray when she was sixteen at the White City Ballroom in Ogden. After his work in Panama, they were married on July 13, 1943, in the Logan LDS Temple. Shortly thereafter, Hugh enlisted in the US Navy to support the war effort (WW II) in England and France for some 16 months. Meantime, Iola worked at Hill Field and the Ogden Adjutant General Depot. 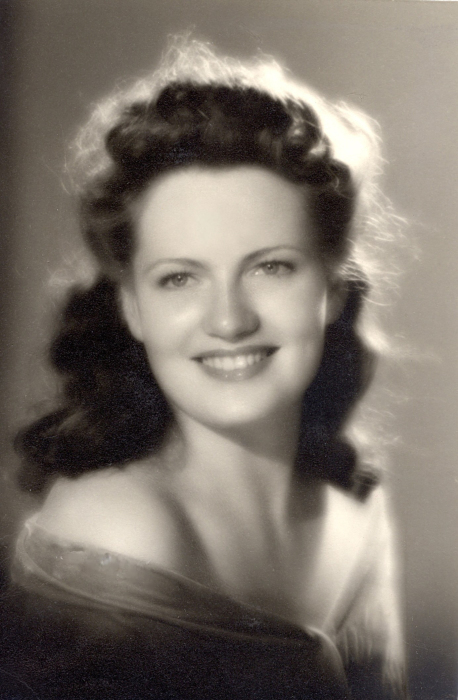 Iola's family lived in Ogden, Provo, Roy and lastly in West Point (1962) until her passing. Iola and Hugh were unified in teaching their eight children the value of diligent, honest work. Hugh began concrete construction (1949) and the children were privileged to learn that trade, which also allowed them to pay college expenses. As members of The Church of Jesus Christ of Latter-Day Saints, Hugh and Iola desired to serve a mission; but a sudden change in Hugh's health intervened. He passed away in 1996; she later served two service missions, first in the Church Office Building, then in the Ogden Temple. After her children were raised, she returned to college. She earned a teaching certificate, and substitute-taught. Later she secured a full-time position teaching at Clearfield Job Corps (10 years). She was a member of the Daughters of the Utah Pioneers in Camp East Antelope and hosted their meetings in her home. Throughout her life she contributed much with her musical talent by singing solos and singing with various groups and family choirs for funerals, weddings, and various Church functions. She led choirs in her ward, and stake (including Singing Mothers) for many years. She has sung in the Euphonic Chorus, Ogden Chorale, and the Jay Welch Chorale. Iola composed many songs, including one for each one of her children. She served in numerous church callings in both her ward and stake including Mutual, Primary, Sunday School, and Relief Society. Her service in various music callings (as chorister) are widely known. She received a Life-Time Achievement award from West Point City Academy, and Life-Time Learning Award from Weber State University. She served on the Weber State University Alumni Council including President thereof. In 1980 (age 57) she was named Mrs. Congeniality and Second runner-up in the Mrs. Utah Pageant. She was a volunteer and served on the Salt Lake Winter Olympics 2002, working with Mitt Romney. Iola is survived by her children John (Bonnie), Mabel (Brent Moss), Dean (Debbie), Paul (Nancy), David (Fara), Joel (former wife Pamela) and Julie (Kelly Moffitt); three brothers LaGrande (Beverly), Darwin, Francis aka "Bud" (Ann) and one sister (Audrey). She was preceded in death by her son Thomas (Judith), parents, four brothers (Lowell, Gary, Veloy, Linden), three sisters (Elma, Thora, Vola), and two great-grandchildren. Her posterity includes 40 grandchildren, 87 great-grandchildren, and 3 great-great grandchildren. Funeral services will be held Monday, October 29, 2018 at 1:00 p.m. at the West Point 14th Ward, 2852 West 300 North, West Point. Viewings at the same location will be held Sunday October 28, 6 to 8 p.m. and Monday 11:30 a.m. to 12:45 p.m. prior to the services.